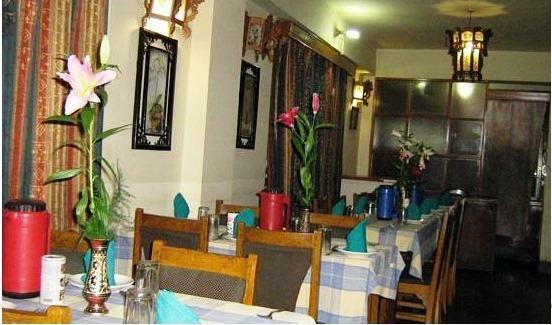 Pine Ridge Hotel is a budget property, located away from hustle bustle of the city. It is just 2.5 kms SNT Bus Station. The property provides facilities like doctor on call, room service, laundry service, car rental, travel assistance and parking. It offers the most preferable accommodation service in artistically designed and decorated room that has standard facilities to ensure a comfortable and pleasant stay. Travel Counter, Family/Child Friendly, Parking, Restaurant, Laundry Facilities, Breakfast Services, Doctor on Call, Security Guard, Currency Exchange, Airport Transportation. House Keeping, Bottled Water in Room, DVD Player, Attached Bathroom, Cable/Satellite TV, Toothbrush/Razor on Request, Air Conditioning Room, Iron/Ironing Board, Television Room, Wakeup Calls. User reviews for "Pineridge Hotel Gangtok"